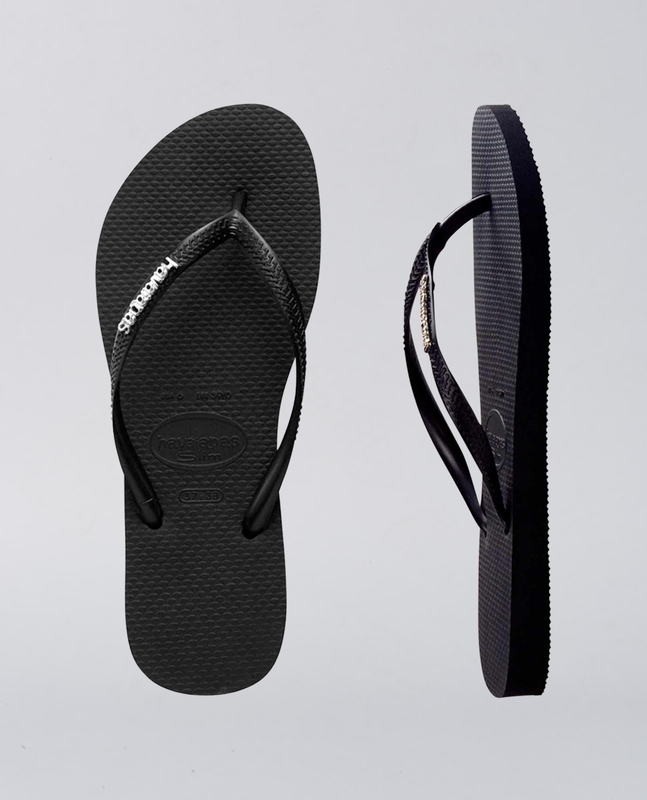 Slip into something a bit more comfortable with this slim line version of the iconic Havaianas in classic black. 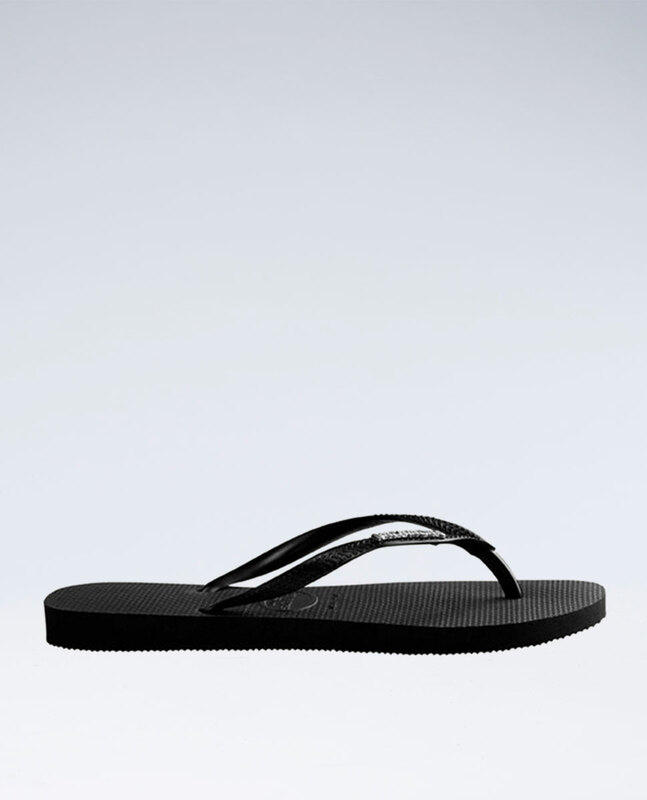 Made out of the same premium rubber that we know and love this Slim Metal Logo pair of Havaianas stamps the brand's name on the band in a chic silver metal. 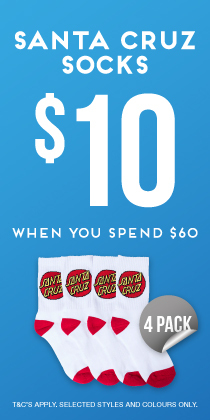 Upgrade your set and get this shiny pair into your off duty footwear mix.